Kostadin Fikiin is International R&D Project Manager, Technical University of Sofia (Bulgaria), an academician at the International Academy of Refrigeration, member of the Executive Committee of the International Institute of Refrigeration, Chairman of EHEDG Working Group ‘Food Refrigeration Equipment’. Although heat and cold are of the same physical nature, they have played different roles in the history of human civilisation. Prometheus, the mythological hero who bestowed the divine fire of Olympus to mankind, is glorified in immortal works of art. On the contrary, to date, the pioneers who created artificial cold and gave it to humanity have never been praised in a similar way as a token of gratitude. The above situation is going to change as professional stakeholders worldwide were recently united to inaugurate 26 June as World Refrigeration Day, to be celebrated as an annual event throughout the planet. Professional associations and societies from the USA, India, Pakistan, Philippines, Thailand, Australia, Africa, the Middle East, and across Europe, have manifested their strong support for establishing World Refrigeration Day. The mission of this event is to raise awareness of how refrigeration, air-conditioning, and heat-pump technologies improve modern life and to promote their significant contribution to the wellbeing of human society. As refrigeration is essentially a question of temperature, the celebration date chosen was the birthday of Sir William Thomson (Lord Kelvin), born 26 June 1824. It is obvious that this powerful but still underestimated sector, metaphorically called the Cinderella of the economic policy and energy system, desires to emancipate. In other words, a sleeping industrial giant awakens and seeks due attention and recognition. The recent heat wave in Western Europe was certainly a convincing climatic signal in this context. A recent study published in Nature Communications predicted 2018-2022 as particularly hot years. 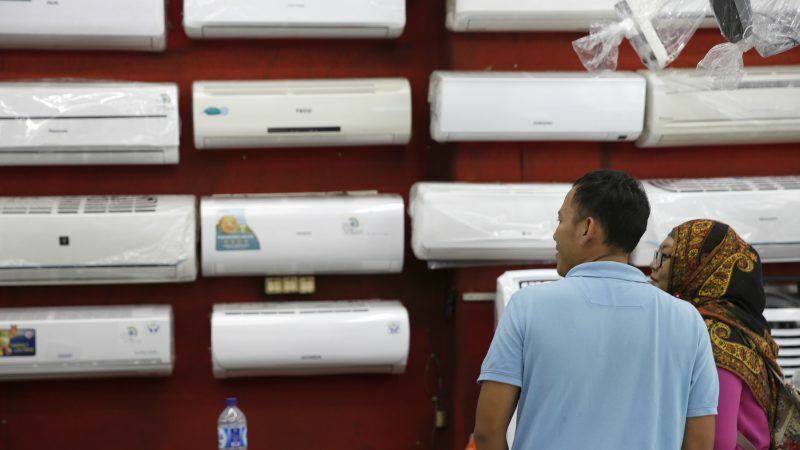 The Guardian highlighted impressive figures showing that, by 2050-2060, the amount of energy used worldwide for cooling will overtake that used for heating (and will even prevail by some 60% by the end of the Century), while the energy use for air conditioning, refrigeration and other cooling appliances will jump by 90%, as compared with 2017 levels. On a global scale, by 2100, air conditioning alone is expected to consume 50% of the total amount of electricity generated worldwide in 2010. Let’s also remember that the refrigeration sector (including air conditioning) currently accounts for about 17% of the worldwide electricity consumption. The cooling and refrigeration sector was recently spotlighted by key international organisations. For instance, the International Energy Agency (IEA) published a comprehensive report “The Future of Cooling: opportunities for energy-efficient air conditioning”. The UN ‘Sustainable Energy for All’ organisation issued “Chilling Prospects: Providing sustainable cooling for all”, while the University of Birmingham released a study entitled “A Cool World: Defining the energy conundrum of Cooling for All”, applying a triune approach towards the Paris Climate Agreement, the UN’s Sustainable Development Goals and the Montreal Protocol’s Kigali Amendment. Furthermore, an ad-hoc working group of the International Institute of Refrigeration (IIR) is working closely with the American Society of Heating, Refrigerating and Air Conditioning Engineers (ASHRAE) to harmonise at least five basic refrigeration-related definitions in order to make them universal and easy to understand by non-specialists, thereby enhancing the societal impact and comprehension of cooling and refrigeration all over the globe. These definitions should be elaborated and agreed upon before the upcoming 25th IIR International Congress of Refrigeration, which will take place in Montreal (Canada) on 24-30 August 2019. To date, there is no unified Europe-wide authority dedicated to cooling and refrigeration, capable of speaking to the EU’s society and policymakers as a single voice. A number of sectorial NGOs represent just different fragments and applications of the cold economy. The poor self-organisation of interested stakeholders (dispersed among multiple industrial branches) is the main reason for the sector’s underrepresentation at a political level. Within European institutions, various aspects of the sector are similarly scattered among a multitude of Directorates-General and Executive Agencies of the European Commission. Activities and programmes could certainly benefit from strengthening synergy and internal coordination. While the EU Strategy on Heating and Cooling, forming part of the sustainable energy security package, has a substantial potential for advancing cooling and refrigeration, the artificial cold often remains in the shadow of its heating counterpart. It must be clear that the expression “Heating and Cooling Sector”, in the singular, is not really correct, because it can apply to a few cases only, where heating and cooling might be perceived as parts of the same sector (such as conditioning of residential buildings, and district heating and cooling). Simultaneously, the huge application field of low-temperature technologies constitutes an independent industrial sector and/or energy vector of cooling and refrigeration. Although integrating heating and cooling processes is always desirable to enhance efficiency, the refrigeration industry possesses numerous unique features, which have nothing to do with the heating sector as such. Hence, the right terminology should speak about “Heating and Cooling Sectors”, in the plural, thereby recognising the identity of both industrial branches and treating them in an equal but customised manner. It is a common belief that the newly established World Refrigeration Day will give a due tribute to a community of over 12 million professionals worldwide – “knights of the human-made cold” – and will dramatically raise the sector’s profile to make it more attractive to the younger generations, thus providing a creative and innovation-friendly environment capable of incubating breakthrough refrigeration, air-conditioning and heat-pump technologies of the sustainable future. Good article, couple of observations. Refrigeration – are fridges & freezers fashion items? If not – why are they thrown away every 10 – 20 years? If the EU wants credibility in terms of its “sustainability strategy” this area needs to be tackled – fast. No reason why fridges & freezers could not last indefinitely – if made for on-site maintenance and with appropriate materials (e.g. a stainless inner liner). Bad news for Electrolux et al (who base their business on make it-sell it- people use it (X years) – throw it away – buy another one) – who would need to move from making stuff to servicing stuff. In the case of air conditioning – one observes that it is usually needed in hot countries – which also, oddly, are sunny. Thus PV-powered A/C is possible and indeed at least one US west-coast-based company has developed such a system which both cools a building in the day & makes ice as a (cold) reservoir for use when the sun has gone down – all based on electricity from roof-mounted PV – what’s not to like. Taking this approach would obviate to a great degree, the need to reinforce power network (bad news if you are a DNO/TSO that makes its living from returns on a hopefully expanding asset base) but good news for those that value some measure of energy independence. At the moment the EU seems keen on prosumers and such like – be interesting to see how long that lasts given lobbying by those against any significant level of prosumers. The application field of cooling and refrigeration sector is really huge, given it includes: cold chain for refrigerated processing, storage, transport, distribution, retail and household handling of chilled and frozen foods, vaccines, medicines and pharmaceuticals; blood and tissue banks; gene banks; keeping in-vitro materials and embryos; cryosurgery; cryotherapy; cold spray anesthetics; cooling of medical diagnostic equipment; liquefaction and separation of gases, and LNG businesses; superconductivity; ice rinks, artificial ski runs, bobsleigh, luge and skeleton tracks, snowmaking machines; ice generators; cryogenics for powerful particle accelerators and thermonuclear reactors; cryogenic energy storage; cryorecycling; process cooling in brewery, chemical and metallurgical industries; cooling of electronic equipment and data centres, etc. All these low-temperature technologies need to be distinctively and competently addressed, instead of just classifying them under the common umbrella of a so-called “Heating and Cooling Sector”.